The United States Postal Service (USPS) has selected five finalists for next delivery van manufacturers. In 2016 our very own Mahindra and Mahindra was shortlisted to develop next-generation delivery pickup truck for USPS. Recently a document from National Highway Traffic Safety Administration has revealed some information about prototype specs of the delivery pickup truck. The document shows the various configuration of the vehicle. The one with vehicle wheelbase of 3200mm is exactly same as Mahindra’s Genio Pickup truck. It will be offered in all-wheel drive and 2-wheel drive configuration. The engine will be sourced from GM and that is 2.5 liters in-line 4 petrol motor. A mild hybrid version is also planned with this configuration. Another added bits to the vehicle will be the safety equipment which is mandatory for NHTSA vehicles like seatbelts and driver side frontal airbag. Our very own Mahindra and Mahindra is supposed to deliver 8 prototypes by Sept this year while remaining units will go next month. If this deal goes well the company will get a contract to build over 1.8 lakh pickup trucks for next year 6 years. The price of the pickup truck will be around $15000-$20000 USD. 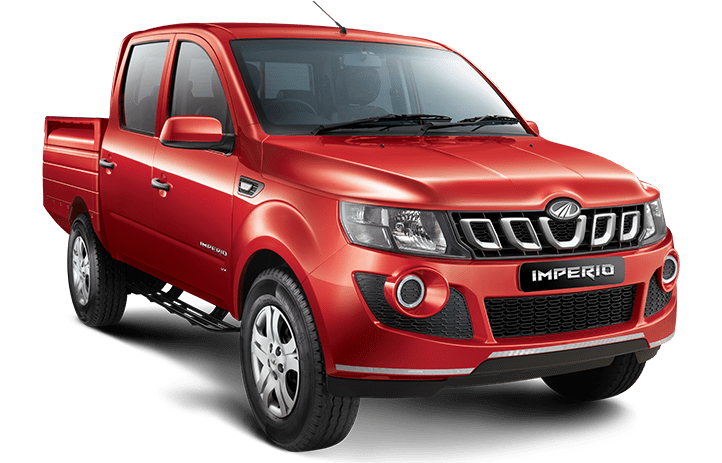 This is the real competitive price as Mahindra Genio is already sold in many markets at $15000 USD, so it will be easy for Indian manufacturer to offer a competitive pricing. Hot Looking Hatches Of the Year Which Will Suit Your Need And Pocket! Tata Nexon to taste Indian Mud early in 2018!